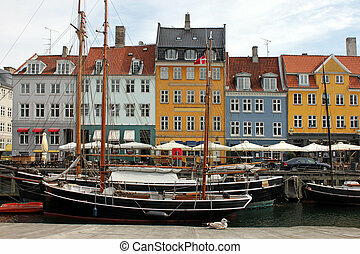 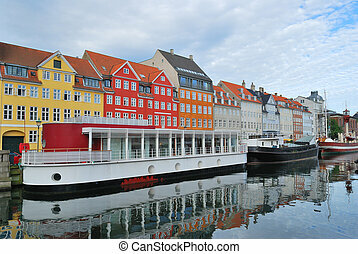 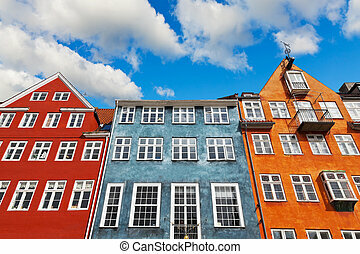 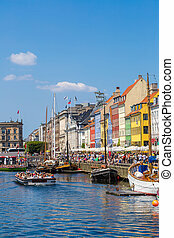 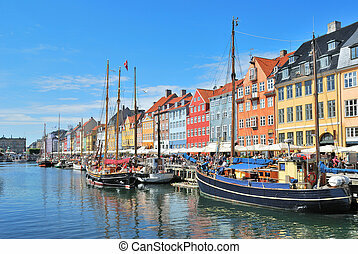 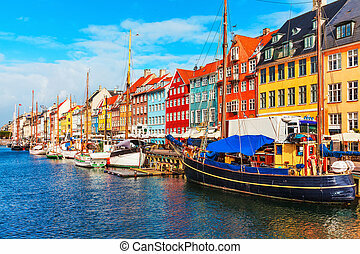 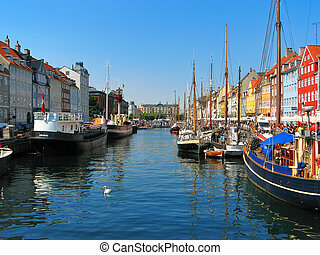 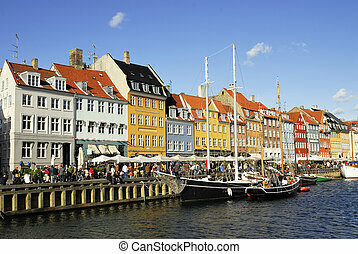 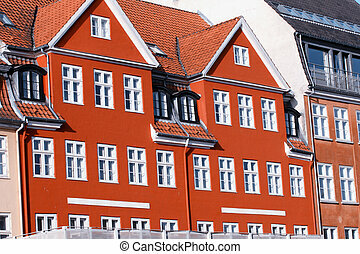 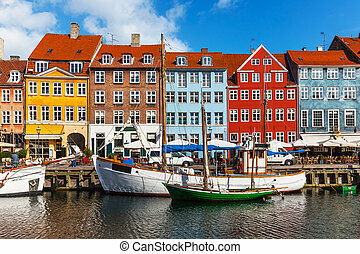 Nyhavn in Copenhagen, Denmark - one of the most popular tourist places. 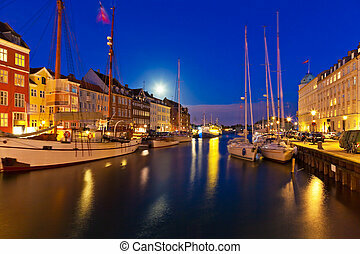 Nyhavn (New Harbor) is a 17th century waterfront, canal and entertainment district in Copenhagen, Denmark. 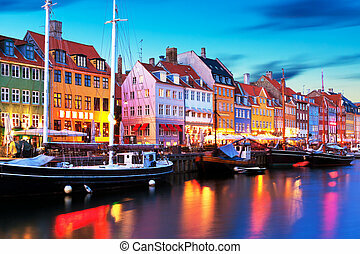 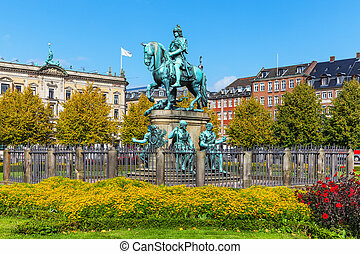 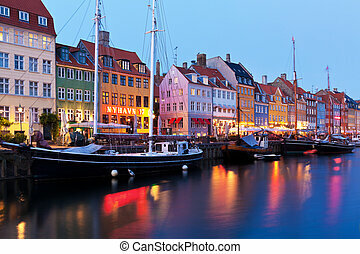 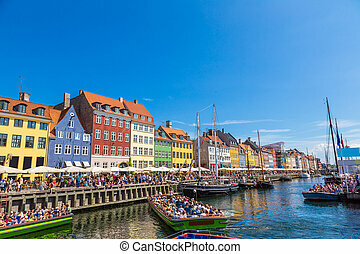 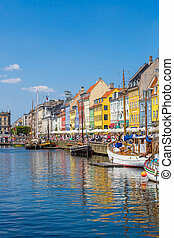 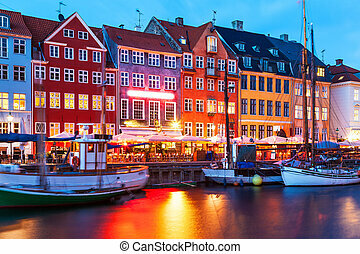 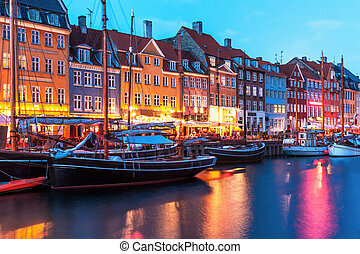 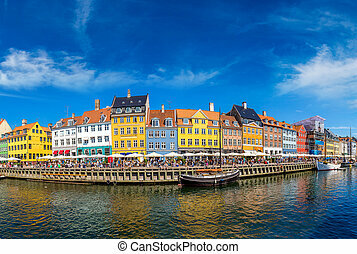 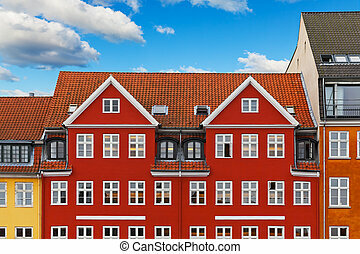 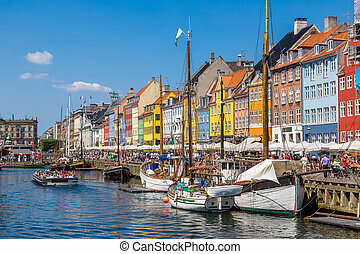 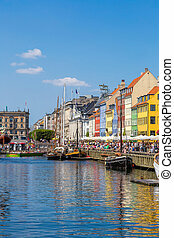 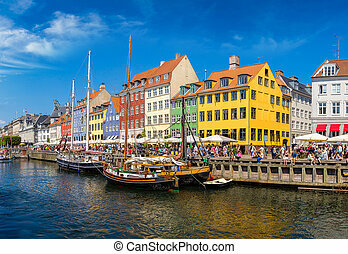 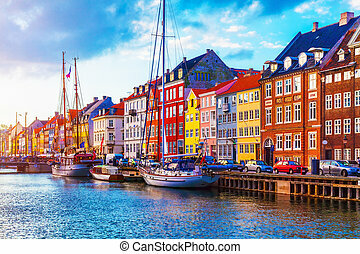 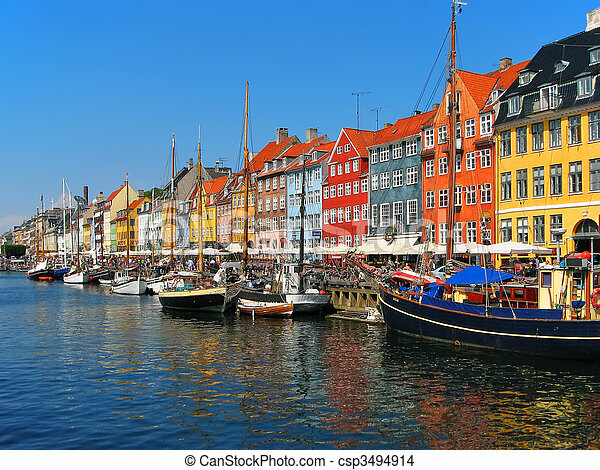 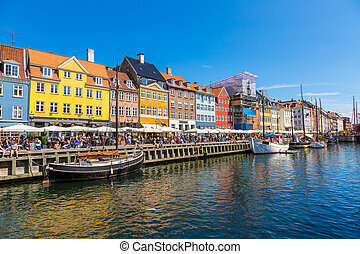 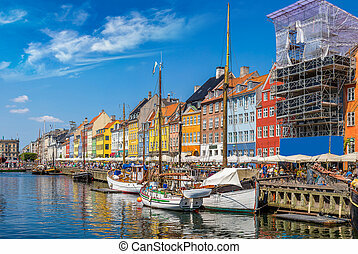 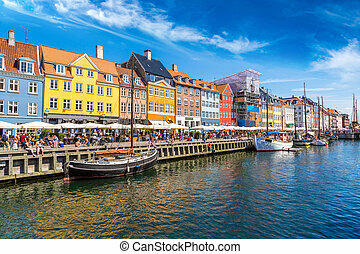 Scenic evening panorama of Nyhavn in Copenhagen, Denmark *** Note: Label %u201CNyhavn 17%u201D on building is not a copyright; it%u2019s just its historical name: %u201CNyhavn%u201D is a street name and %u201C17%u201D is a building number.